K-Tuned Fuel Pressure Gauges are liquid filled to prevents failure due to the vibration and constant movement of the engine. 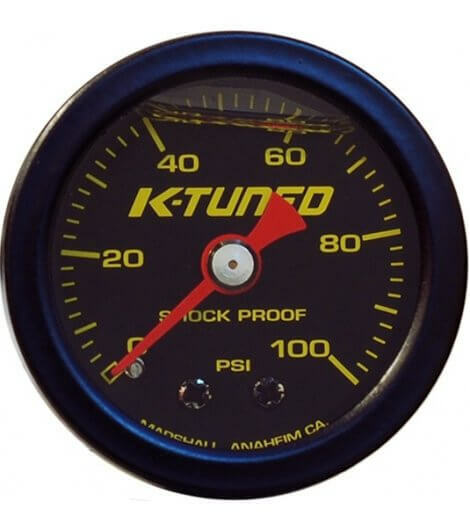 The liquid filled (shock proof) design ensures the needle remains steady while the engine is running. Cheaper and less accurate fuel gauges are easily spotted because the needle tends to bounce around making them difficult to read. 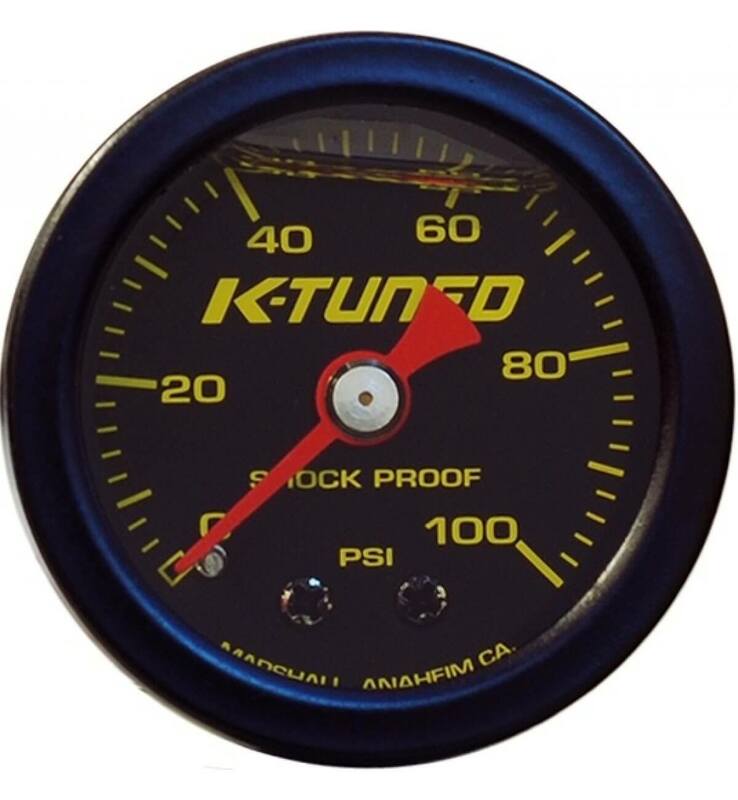 Our quality gauge accurately reads pressure between 0-100 psi. It is finished in all black with yellow lettering/numbers, red needle and our K-Tuned logo on the bezel.